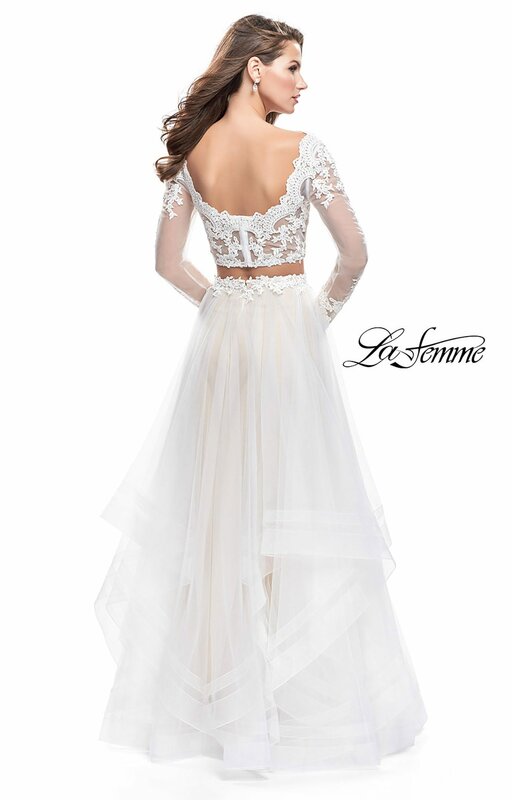 Steal the spotlight in La Femme 25300! 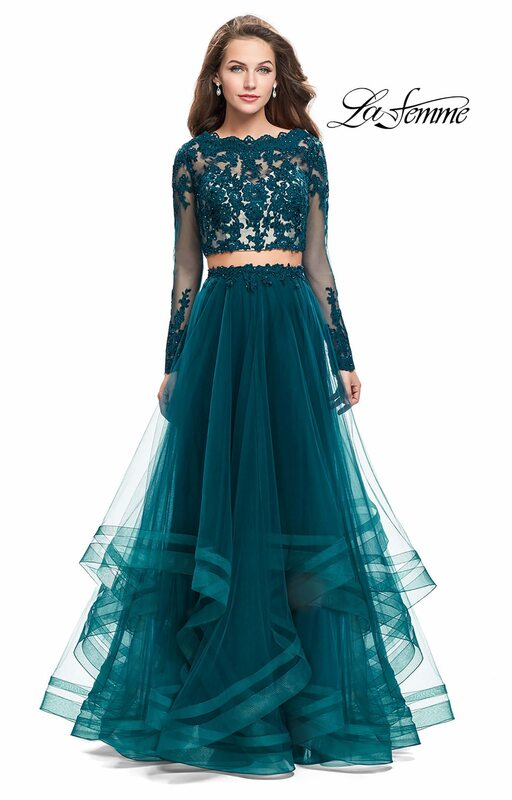 This dreamy two piece ensemble showcases a long sleeve crop top with sheer sleeves and beaded lace appliques scattered throughout. 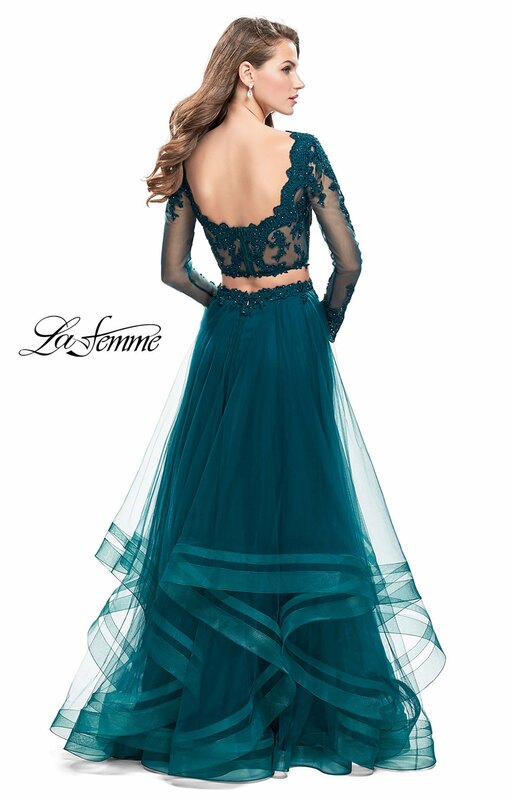 The long ball gown skirt is layered and trimmed with horsehair edging. 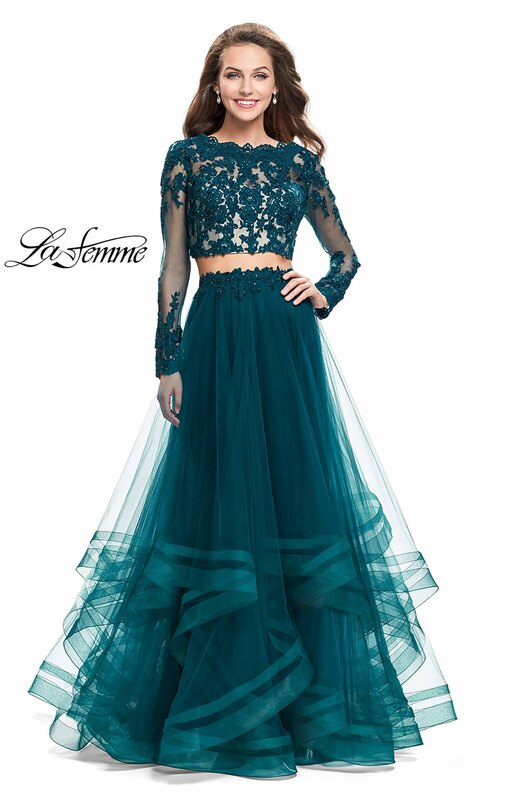 Matching lace appliques wrap around the waist, piecing this look together so beautifully.